Whenever I enter a discussion on essential oils, someone will usually ask what my favorite oil is. (That’s easy – it’s Rose). With that answered, the conversation then leads to other essential oils and which ones I use most regularly. 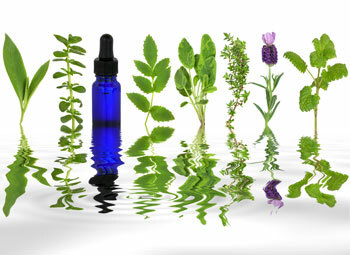 Therefore, I felt it was time to share the seven essential oils I can’t live without. With stress playing a role in life far more often than anyone would like, anxiety-reducing oils are always key players in my Aromatherapy kit. Cedarwood (Cedrus atlantica) can relieve stress because it helps to deepen breathing. This action also helps to ground excess thoughts and energy, but also help with respiratory infections. Rose (Rosa damascena) is the ultimate relaxer for me, not only because I love the scent but also because it mellows out the nervous system. This oil brings beauty to all perfumes, and those who wear them, and to all types of skin. It is especially gentle to aging skin but that, of course, will never be a problem for me. The most well-known relaxer is Lavender (Lavandula angustifolia), but this essential oil does a whole lot more. It helps with sleep and headaches, but is also a germ fighter. And, for all of those bumps and lumps, it is anti-inflammatory. It is often considered a first aid kit in a bottle. An even more potent anti-inflammatory is Helichrysum (Helichrysum italicum). The odd thing about this oil making my “must have” list is that the first time I sniffed it made me nauseated. I have since learned to appreciate how quickly it can assist the body to heal from inflammation and skin trauma. When I first encountered Helichrysum, I should have looked for Ginger (Zingiber officinale) because it can relieve nausea almost instantly. It is also good to have around when indigestion strikes because it works as a digestive aid. The oil has an energizing scent, but comes in handy when you have over-exerted yourself because it aids muscle aches. Another favorite of mine is not very common – Hyssopus decumbens. As someone who suffers from allergies and mild asthma, Hyssop has been a good friend on many occasions. It can efficiently dilate the bronchioles to get air into the lungs while at the same time reducing lung inflammation. These qualities make it useful for bronchitis as well. My list also includes an oil that is probably on everyone’s list – Tea Tree (Melaleuca alternifolia). It kills so many germs that it is invaluable for all types of cleaning: household, environmental, and wound. It is included in so many antibacterial, antimicrobial and antifungal blends that we often run out of it in my house. These are my go-to oils. Do you have one that didn’t make it onto my list?